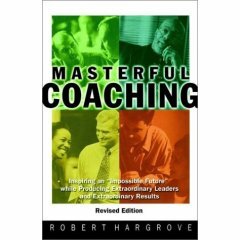 In this thoroughly updated edition of his classic book, Hargrove introduces you to Masterful Coaching, the method, Hargrove draws on his in-depth experience of coaching leaders at all levels gained since writing the first edition. The book provides guiding ideas, tools, and methods that will empower you on your own journey to Masterful Coaching. You will learn to empower people to transform who they are as leaders and at the same time their ability to produce results that were previously considered impossible by applying triple loop learning. This is about ripping the blinders off so that people see that who they are, the goals they set, and the plans they make, and actions they take are often part of historical winning strategies that are the source of their past success but that limit them from achieving what's possible or playing a much bigger game.